On a sunny weekend morning in June at a cabin in Amery, WI, we finally did it. "With its unique, pressurized, patent pending process, Batter Blaster™ makes organic light and fluffy pancakes and light and crisp waffles in minutes! And while breakfast is the most important meal of the day, it’s also the most skipped meal. Batter Blaster is fast, easy and fun for the whole family. 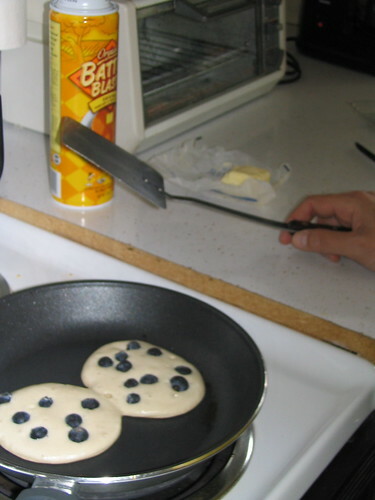 Batter Blaster makes breakfast a blast!" Could batter blaster be the ultimate cure for cabin hangovers?? gerg found the Batter Blaster during an all important brat bun run to a grocery store in Amery, WI. 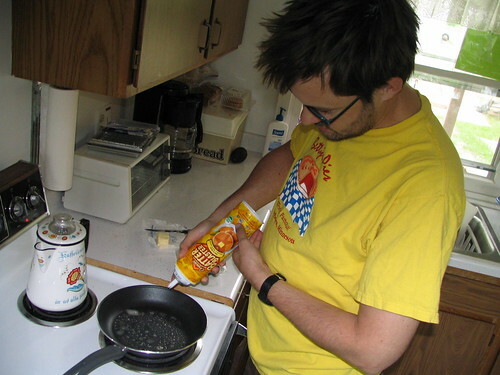 He immediately grabbed the can and said, "Let's make Batter Blaster for breakfast tomorrow!!" 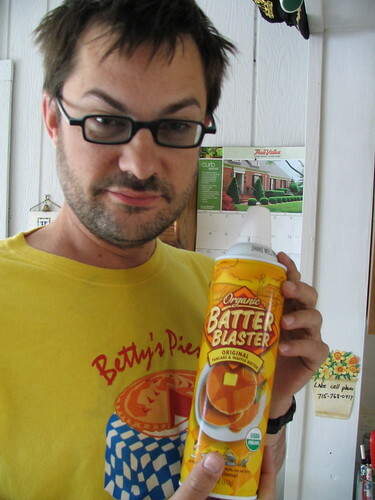 Batter Blaster doesn't blast dawg; it oozes out of the can, like Cheez Whiz. Gerg discovered that it's better to swirl the batter blaster in circles for optimal evenness. Note the butter. You must butter your pan. They were totally A BLAST!! 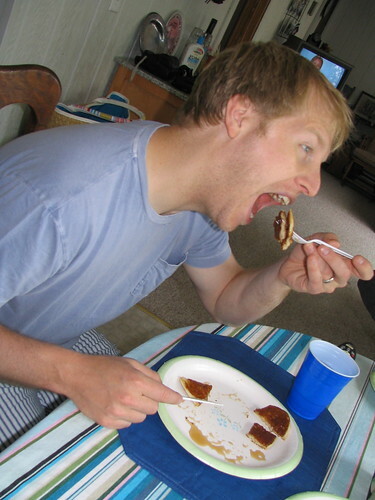 Actually, they totally tasted like prepackaged pancakes. They were edible and crucial for people who might have had too much crunk juice on da boat the day before. *wink* However, we all concurred that while it's rad that it's organic, it's a total waste of packaging. We were trying to decide if the packaging defeated the purpose of it being organic, but we got distracted by trashy magazines. 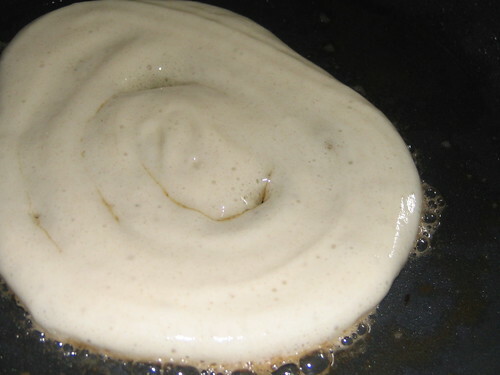 Check out this video of Batter Blaster oozing in action!